The perfect martini for your Halloween party! 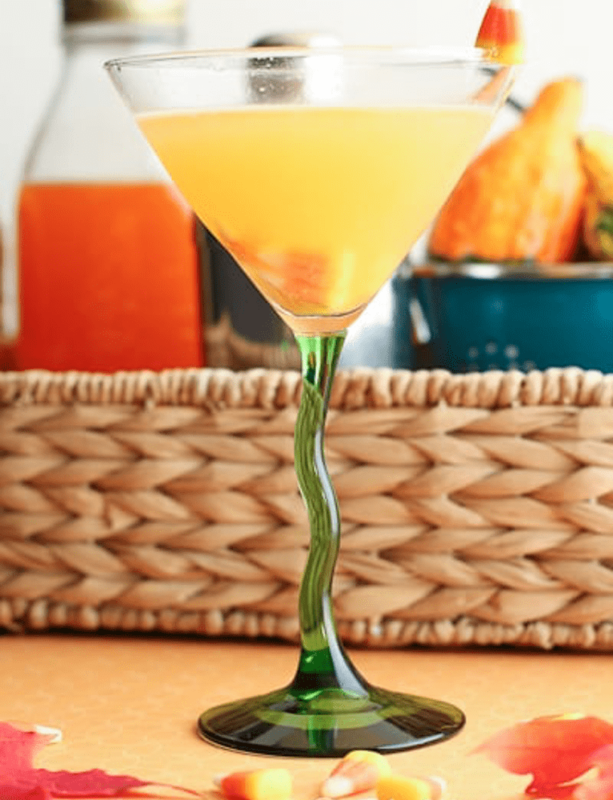 Place a single candy corn at the bottom of chilled cocktail glass. Combine vodka and liqueur a shaker with ice, shake well and strain into the glass.